It’s getting to be towards the end of summer growing season in Austin. 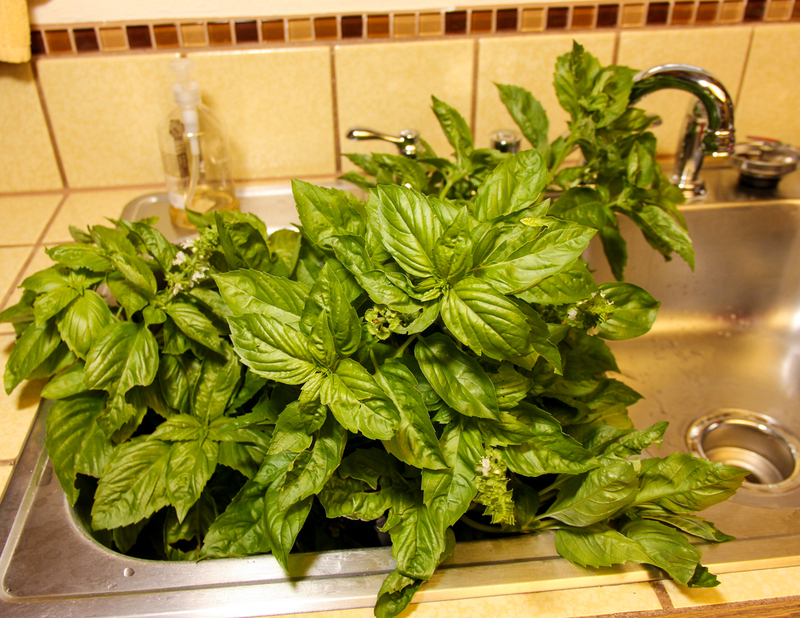 Our two basil plants are still crazy large, as in, overflowing our garden by a lot. We haven’t used it nearly as much as we should so I decided to preserve some to use throughout the winter. 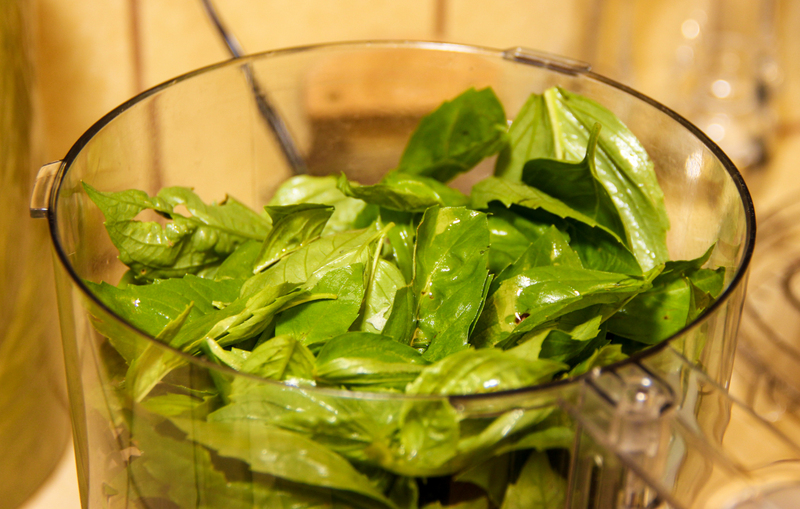 I’ve read about a number of ways to preserve basil, but for today I decided to make my own version of pesto and then freeze it. Maybe I’ll use another method next week. 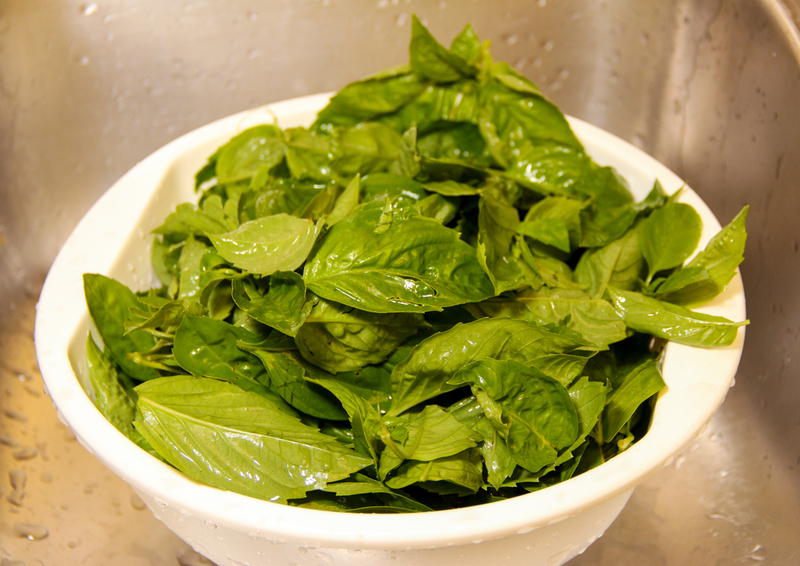 First I brought in a huge sinkful of basil. Next I washed it and separated the good leaves from the stems. After running the leaves through the salad spinner (I had 3 bowls!) I put them in batches into my food processor. 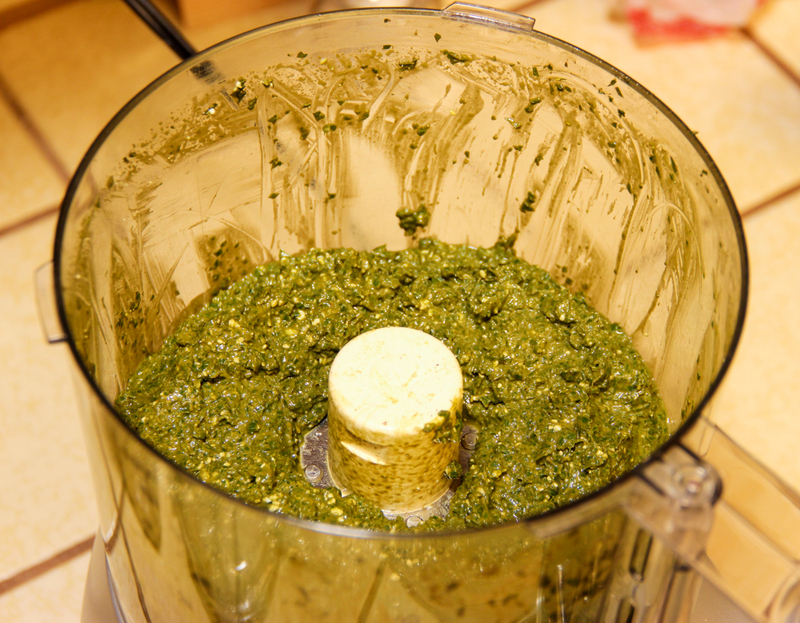 I added olive oil, white miso paste, water, salt, pepper, pine nuts and feta cheese in batches with the basil until the pesto tasted the way I wanted it to. 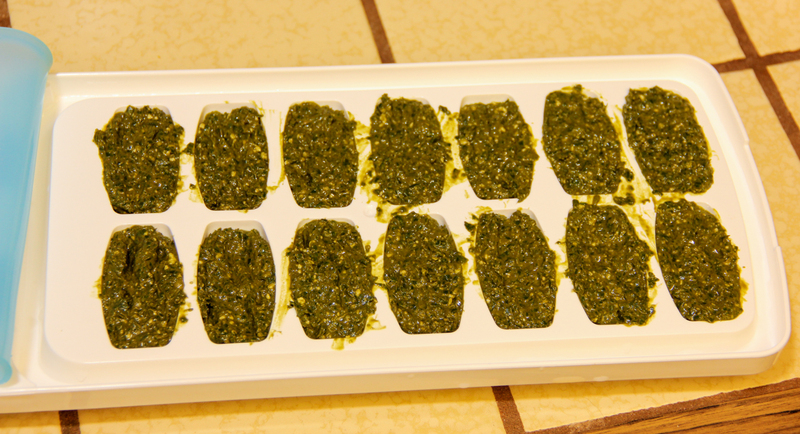 To freeze the basil, I spooned it into an ice cube tray. I use a tray that has a lid so that I can easily stack things on top of it if I need to. I also had enough pesto to fill up a separate round container. The idea is to thaw individual cubes as needed for a single meal. 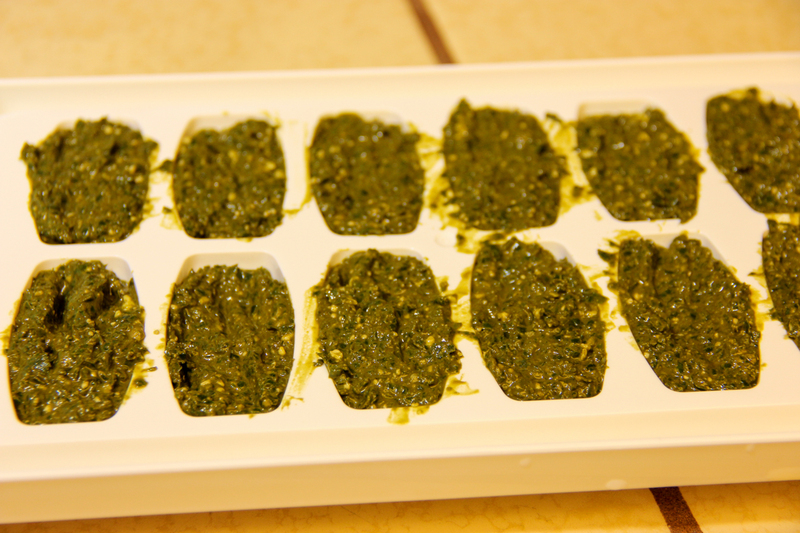 After the pesto froze, I removed it from the tray and put the cubes in a freezer bag.